Since the second post-war, the recent history of Sicily has been characterised by a continuous depletion of the natural and historical Mediterranean landscape due to the unauthorized building often controlled by the expansion of the Ma!a. Such trend was even more systematic along the coast, in the maritime villages and in the inland regions, where the new building, the uncontrolled development and the asphalt works have dis!gured the landscape and wiped out important testimonies of the past.So rather than the traditional tourism directed to bathing areas, minor islands and art towns, the new forms of Integrated Relational Tourism (IRT) are the most compromised. Indeed, in the rural areas the historical landscape, as well as the territorial memory, has been modi!ed often due to the migratory phenomena of the last sixty years. Nevertheless, a signi!cant part of the coastal and rural landscape of the island has been saved by the radical transformations of the 20th century: a large part of it is indeed still undamaged and constitutes a substantial resource for Sicily. For instance, lots of rural villages, abandoned since the post- war, are fairly restorable. However, only some of them are coming back to life thanks to the devotion and perseverance of few men who are carrying out projects of sustainable tourist development. Among these projects one of the most important is focused on Borgo Pantano, a rural village of the Tyrrhenian- NPeloritan region, harmonically integrated in a quite intact agrarian landscape. The area is characterised by a cultivation mosaic of olive-grove, vineyard, orange-groove and several kinds of orchards. The hamlet, which lies in the administrative division of Rometta, dates back to the Fifteenth century and comprises about forty houses. The church, located in the centre of the village, is dedicated to Our Lady of Grace. It is a meaningful example of rural architecture and one of the oldest of the whole district. The last inhabitants left Pantano in the Sixties. From then the village has been abandoned for decades till a descendant of one of the old inhabitants decided to ful!l a dream: bringing Pantano back to life. 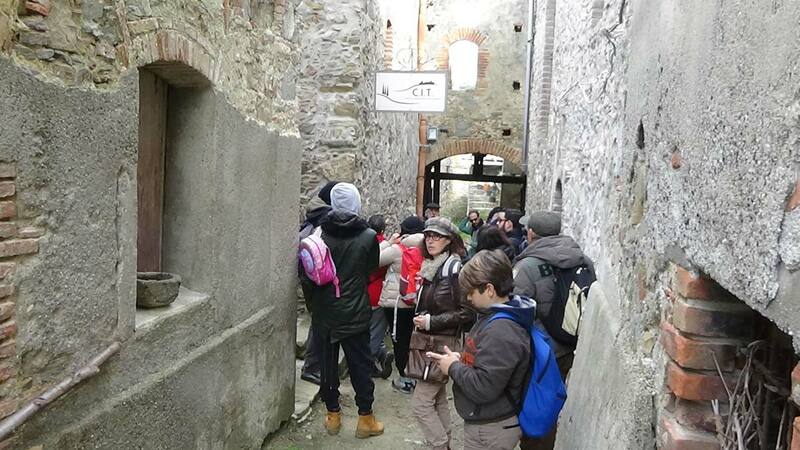 So far the project has been promoted by the society “Incanti & Memorie” in partnership with the Observatory of Economic and Tourist Development in the Tyrrhenian Area (OSETT). 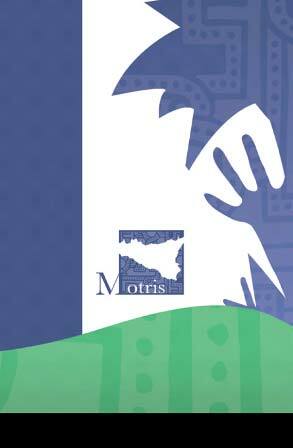 The village has been added to the MOTRIS list, as the project is already being carried out. “Incanti & Memorie” shares the IRT aims of economic re-territorialisation, social recontextualization of regions and recomposition of cultural identities. 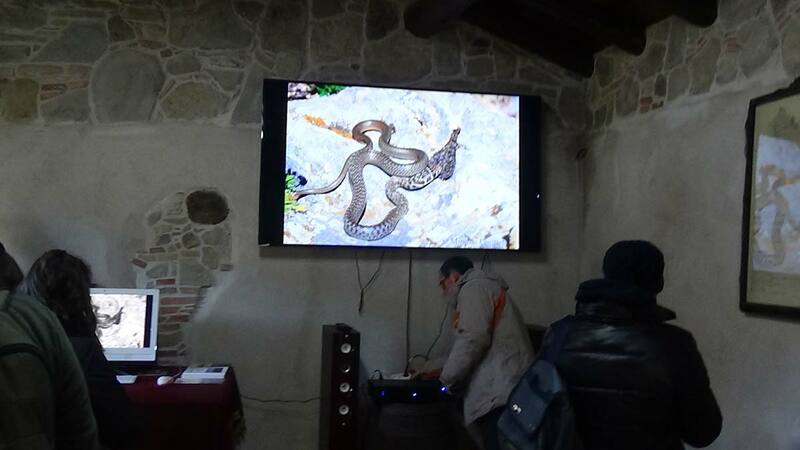 Moreover, Borgo Pantano was the !rst project in Sicily to subscribe a Protocol of Ethics for the restoration of the village, it was proposed to be registered in the Sicilian Region’s REI (Register for Immaterial Heritage), and has been subject for three graduation thesis. 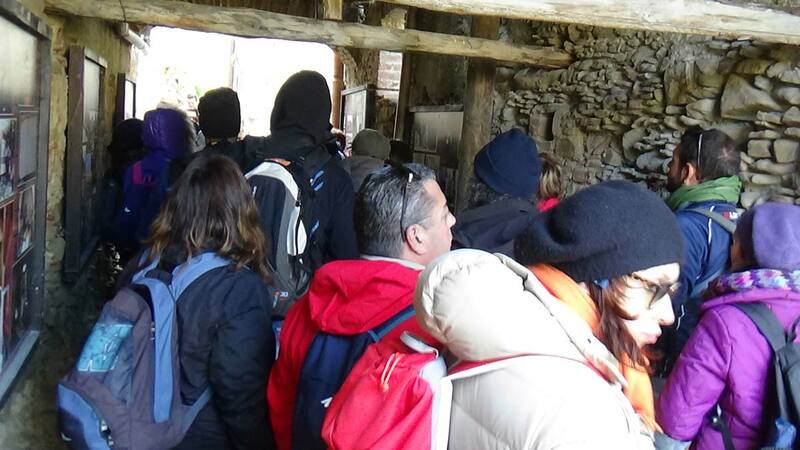 Progetto Pantano aims to recover not only the buildings but also the traditional culture of the village. 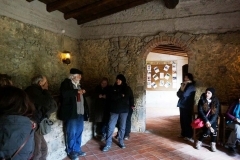 The purpose is in fact to recover as much as possible the existing elements in order to restore the village to its original appearance and its ancient productive, agricultural, cultural and religious functions. In order to reach this aim, a trans-disciplinary study has been carried out in the present paper, focused on the historical and geographical aspects and the analysis of the agro-environmental resources. A Geographic Information System (GIS) project has been correlated to the manifold aspects characterising the history and culture of this territory. The !nal endeavour is to ful!l the restoration of the old houses as tourist accommodation, recovering at the same time the typical production of the village, so protecting the tangible and intangible values nowadays put at risk by the globalization process. Providing a de!nition of tourism is not easy. Unless it can be accompanied by a qualifying attribute (such as bathing, cultural, religious, etc. ), the concept is too vague and dispersive. In fact, the di”erent features of tourism are combined with the idea of a population moving from their habitual place, for di”erent reasons and periods that are not too short. Nevertheless, until a century ago, there was a very precise idea of tourism, it was a moment of cultural enrichment, something that often lasted several months and was considered, by the ruling classes in Europe, as a crucial phase of an individual’s educational process. In its highest form, it was called the “Grand Tour”. Tourism was no longer the journey towards the unknown, as it was for Homer’s Ulysses and the Fifteenth-century explorers, but a journey towards the exotic: it was a moment of understanding of the world and its diversity, but more than this it was the rediscovery of being, a moment of self-de!nition. From the second half of the Twentieth century, with the phenomenon of “the masses”, tourism lost its deepest meaning. Tourists no longer travelled to discover but to con!rm those exotic environments, advertised in brochures and o”ered by tour operators in packages, without losing the comforts and habits of daily life. Discovery turned into !ction, just as reality, after all, as required by the post-modern logic theorized by contemporary authors such as Augé, Baudrillard and Bauman. Certainly, we cannot say that it was a sustainable tourism and that it did not leave scars on the ground. The big leisure and entertainment companies contributed to destroy coastal structures, compromise landscapes, promote illegal building and modify the economic and social structure, the traditions and cultural values that make up the world’s mosaic. Of course, this was, and is, globalization, its harmful e”ects, from which we try to defend ourselves, forcing a change, creating a limit to unsustainable practices, in “dark times” – to quote Hannah Arendt, but “fortunately” only in terms of economic recession – in which humanity is living, in this early Twenty-!rst century. We need to aim at an economic re-territorialization. This means reconnecting production activities with places, bringing out the local individuality, ensuring that the economic dynamics are not exclusively handled by the external centres of political and economic power. Man is now starting to realize the abuses committed in the recent past. In his soul, he has always nourished a sense of transgression, a sense of guilt over the loss of Eden, the end of natural status and the birth of civilization. This sense of guilt has gradually been growing since the industrial revolution, because the impact of human activity on the environment, on the natural and anthropic landscapes has been really quite devastating. A reconciliation between man and nature, the great mother (Demeter or Isis in the ancient Mediterranean culture), is needed, as well as the rediscovery of cultural roots that, if not managed properly, are likely to be eradicated by globalization. The 1950’s marked a net division in Sicilian history. 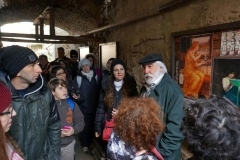 The failure of the Agrarian Reform and the beginning of the industrialization program in the southern regions, supported by the Cassa di Sviluppo per il Mezzogiorno, opened the doors to profound changes and upturned the urban hierarchy, in Sicily and other Southern regions of Italy. In twenty years the appearance of the South has drastically changed. As Giuseppe Giarrizzo reminds us, rather than migration to Northern Italy and Europe, it is the internal migration that rewrites the island’s geography (Giarrizzo, 1989). The inland mountainous areas were suddenly abandoned, while many coastal centres reported a population growth that had never occurred in Sicily before. On the island, much more than for the rest of Southern Europe and the Mediterranean, the presence of substantial urban-demographic concentrations along the coasts is already a historical, long-term, characteristic. However, in those years, the weight of Palermo, Catania and Messina grew even further. Again in the coastal regions, the industrialization policy also created new centres. In Priolo-Augusta, Gela, Milazzo and Termini Imerese, the development poles attracted the population and emptied the inland areas. Perhaps, the most important example in Sicily is Siracusa, where in three decades – from 1950 to 1980 – the population grew from seventy thousand to one hundred and twenty thousand. But Gela, Augusta, Milazzo and Barcellona were facing a hardly manageable demographic emergency, as well. At the same time, mass tourism led to illegal building, the gradual cementing of coasts, while in the three main centres of the island, ma!a and speculation were erecting one building after another. In Palermo building was not only restricted to peripheral areas: the Viale Libertà bore the brunt, having lost many of its valuable mansions, replaced by modern high-rise blocks of %ats. Messina grows chaotically, without any town planning criteria, without any logic, torrents are buried and, at the cost of public safety, earthquake safety rules are ignored. Meanwhile, the cement culture spreads for emulation, even in the inland areas, the small towns in demographic decline are no longer safe. There is a Sicily that is disappearing, Leonardo Sciascia writes, “under the television aerials, the cars, the paroxysmal consumerism, the rural exodus, the disarmament of sulphur mines”. Only a few are safe (Sciascia, 1982, introduction). Among the victims of depopulation, there is also Pantano, a small rural village in the Tirreno-peloritana area (Fig.1). 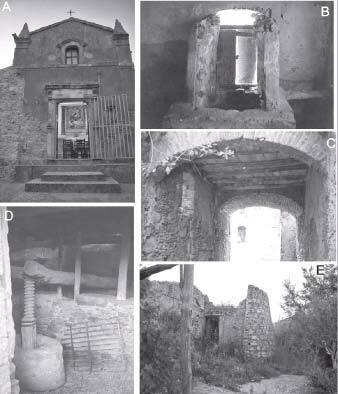 Only a victim of abandonment and certainly not of overbuilding, if we consider that it was the absence of humans that has preserved Pantano from the disasters caused by “Sicilian modernity”. This splendid rural archaeological example lies in Rometta (Fig.1A), a town in the province of Messina. Built on a Peloritani mountain depression, about 300 meters above sea level, Pantano can be found among the villages of Rapano, Filari and Scarcelli (Fig.1B). Its origins date back to the Fifteenth century, thus before the age of establishment that is, perhaps, another hinge moment in Sicilian history together with the recent events we have talked about. In fact, between 1573 and 1714, 113 new villages centres were born on the Island with the Viceroy’s permission (the well-known “licentia populandi”). In less than a century, the towns doubled from 170 to 340. In 1693, the earthquake in Val di Noto gave further impetus to this period of territorial reorganization. With their perfect geometric plans – as modern standards imposed – the new centres started to stud the island, drawing new urban networks, establishing new hierarchies. So, in addition to the morphology of the area, that holds Pantano in a depression, thanks also to these events, the village never experienced a signi!cant population growth, that would have upset the system and the architecture. With a Sicilian population increasing from 550,000 according to the 1505 census to 1,020,792 in the 1583 one, the Sixteenth century explosion would and an outlet in the recently founded centres, which the barons would then promote in the whole region (Ligresti,2002). Therefore, it is probably due to the emergence of these new poles that the village has managed to keep its “Y-shaped” urban planning intact as well as its typical medieval rural housing scheme (Figs.1C; 2). However, in spite of its small size, Pantano did not play a subordinate role in the political and economic dynamics of the Tirreno-peloritano territory. It was perfectly integrated in an urban system of small rural centres interacting with each other. 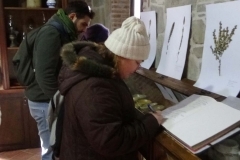 It is demonstrated by the fact, for example, that, built in the Sixteenth century and dedicated to Our Lady of Grace, the village church precedes the San Domenico church, situated in the overwhelming Rapano village and built after 1604. Therefore, before the latter date, the little Pantano church was supposed to be the only place of worship in the district. Furthermore, even though the village has always been self-su*cient, with its own food and agriculture production, its economic relationship with the neighbouring towns has always been considerable. The village was continuously inhabited until the early Sixties of the last century, when the demographic changes caused the site to be gradually abandoned. The industrial centre of Milazzo-Villafranca catalysed a demographic flow towards the coast and, with less than 77 people, Pantano was !nally abandoned. This depopulation caused the end of production, business and life, but paradoxically ended up by preserving the village, making it an exceptional case of rural archaeology in Sicily. Today, Pantano is exactly as it was in the Sixties. Certainly the state of abandonment led to the building heritage decay, but not one sack of concrete nor one gram of asphalt have been poured onto Pantano. The absolute absence of man has saved the village from the horrors that have, elsewhere, spoiled the Sicilian landscape. Pantano has about forty houses, spread around the renovated church and its small square. The architectural building style is very poor but digni!ed. Actually, today the village is no longer abandoned. 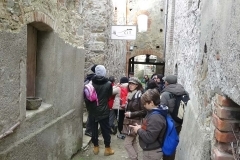 A company called “Incanti & Memorie” has bought all the buildings in the village, with the aim of bringing a rigorous upgrading project to a close. 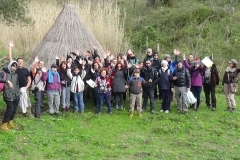 The initiatives connected with Pantano started in 1994, since then, already registered in the MOTRIS plan, the village has been the subject of various studies led by the University of Reggio Calabria – Department of Architecture. Another protagonist is the OSETT, that along with “Incanti & Memorie” is supervising the cultural aspects of the project. 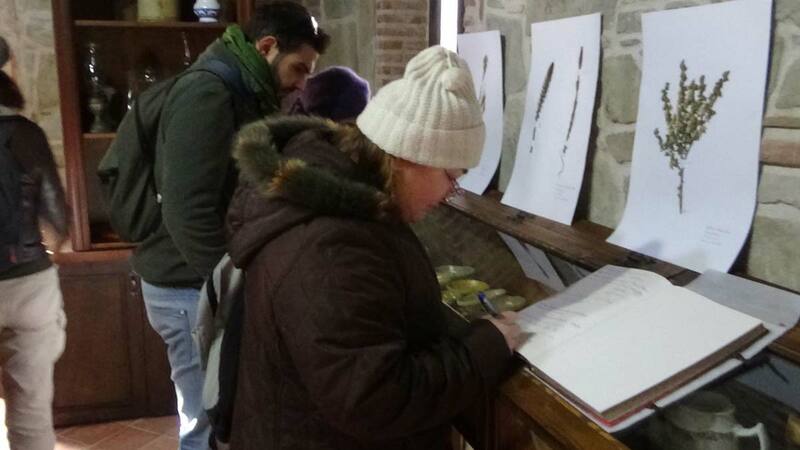 Moreover, for some years, OSETT has been promoting interesting initiatives – such as “The roots of memory” – of which, every year, Pantano, with its remarkable scenery, plays an important role. 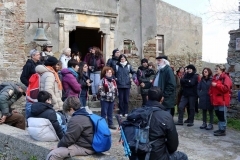 Providing a total investment of more than four million euros (supported partly by public and partly by private funds), the recovery plan for the village is a painstaking and unusual work in a “di*cult” context such as Sicily. Starting from a careful and detailed study of materials, building techniques, farming organization, village land, water and tradition management, the goal set by this project is a full and rigorous upgrading of Pantano. Everything must be faithfully reconstructed: even the Pantano last inhabitants ’nciurii2 will be recovered and will define the new toponymy. The ethical aspects will not be left out either. 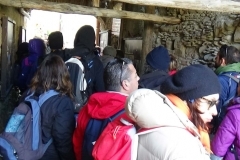 As regards this, on the 26th of January 2006, the City Council in Rometta approved the Protocol of Ethics, that establishes the guidelines that should be enforced in the recovery activities of the village. 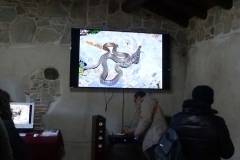 Moreover, there is a pending Charter of Ecology and Ethics, that is a program where the principles of social and economic sustainability are established to regulate the village operation, after the recovery ends. The !nal goal is to create a model of alternative accommodation. Staying in Pantano, in a typical Mediterranean rural landscape, travellers will be able to escape from a world that globalization has distorted, renew those roots that modernization has cut o”, recover a sober and digni!ed way of living that now seems to be the only one possible, in order to cope with the di*culties, bred by the international economic crisis. The typical, traditional dishes of the country will be reproduced, the temporary guests can take part in traditional activities of the village and, most importantly, satisfy their need for community. It doesn’t matter if he is German, French or Piedmontese, the reconciliation with nature will take place anyway. In that case, it won’t be a return to his roots, but a return to the discovery, to the satisfaction of the inner human need to wonder at the world. Nal comment concerns the management of Pantano. In a region where the development patterns have always been imposed from above, where the power elites have been able to turn to their favour the consequences of every political change, where the power (not only the political or institutional power) has been wielded with the utmost violence since ancient times, Sicilian people gave themselves up to the insight of a compulsory inaction, a vain evolutionism – subject of a relevant literature produced by the regional culture. Similar initiatives need to be encouraged and supported not only for the content value And quality, but because they rise in the territory and for the territory and could be an example to emulate, to light a path of local development. Only by rediscovering our origins, emphasizing our di”erences, we can return to live free, as Socrates said in Plato’s Phaedo, referring to the Mediterranean, such as frogs and ants – with mutual di”erences – around our pond. C) Dammus (Particles 183 and 187); D) Millstone (XVI SEC) (Particle 184); E) Nurse’s Tower (Particle 154). Of the 40 buildings forming the village’s heritage only 10% show a fairly good condition of preservation. The Church is constituted by a central and symmetrical hall and by an annexed body. Inside, the choir is placed upon the entrance wall. Here the children used to gather to sing the Sunday hymns. The furnishing is simple and devoid of stylistic references. The holy furnishings and the only valuable picture, dating back to 1730, have been stolen. Typical of the village’s houses are the cisterns (Fig.3B) and the ovens for the baking of bread. Elements related to past dominations are not missing: an example of it is the dammus (Fig.3C) of Muslim origin. The village was also provided with a collective millstone (Fig.3D) where the wine-pressing usually took place. The grape harvest was an aggregation feast: many hands were needed and the workers used to gather for lunch. The women cooked ‘u sugu and ‘u piscistoccu â ghiotta3 while Cinniredda, the itinerant musician, used to sing and play the accordion. The working activities were always accompanied by songs, which performed the important task of easing the hard work. The capuani4 were a typically feminine repertoire, related to the working environment of the ghiummi5, groups of six-seven women entrusted to the carrying of goods. A characteristic element of this song was ‘u riiddu6 of women coming from Saponara and Scarcelli, loaded with straw and hay The most typical element in the village is however the Nurse’s Tower (Fig.3E). The network of baiulas, dating to the XIII century, held up at that time the administrative system. Justice was applied by a judge, who usually was the lord of Rometta. The baili” had the duty to solve issues related to the agricultural activities, especially those related to the cultivation of corn, linen and silk. 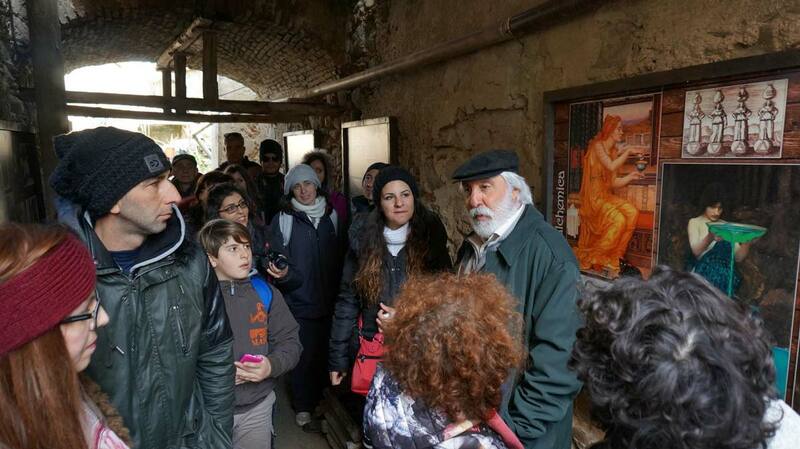 As about this last activity, it is tobe remembered that Rometta’s silk market was very renowned in the area. It was connected with a small local entrepreneurial class headed by the Bosurgi family. emerged how, in the 1950-1960 decade, their diet was mainly based on vegetables. Cereals were the chief nourishment (Fig.4 and Tab.1). With an average value per year of 181 kg per capita they constituted 54% of food consumption, legumes and vegetables came second (27%), followed by fruit (11%), meat and its derivatives (7%), and !nally !sh (nearly only stock!sh) (1%). All families at the village used to breed chickens, which guaranteed the production of eggs. Among legumes, broad beans, beans and peas were the most consumed. Among vegetables the favourite were potatoes, onions, tomatoes, eggplants, peppers and artichokes. As for fruit, prickly pears, plums, cherries, apples, pears, pomegranates and grapes. Cultivation, especially the arboreal one, was based on the use of cultivars and local accessions, which today are at risk of extinction because of the widespread abandonment of the !elds and the introduction of hybrids. * data obtained through the elaboration of information given by ancient people of the area, estimated, and derived from bibliographic sources. ** necessary about 15 l of milk to make 1 kg of cheese and ricotta. 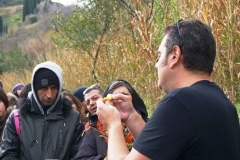 After the Second World War the agricultural productions of the village guaranteed sustenance to its 77 residents.In order to purpose the construction of a natural laboratory able to rebuild up the Pantano’s traditional food system, a study on the agricultural productions has been carried out. 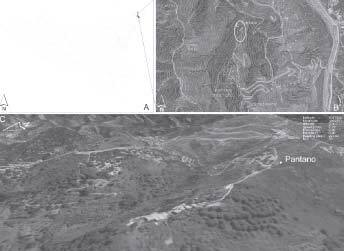 This study took as a reference a surface of nearly nineteen ha (18,7852 ha) neighbouring the village, where the residents predominantly performed their agricultural activities during the 1950-1960 decade. The present elaboration (Tab. 2 and Fig.5) shows that on this area the practised agricultural cultivations were the arboreal seeding (39%), the seeding (16%), the olive (16%), the arboreal vineyard and the vineyard (respectively 9% and 8% of the surface), the pasture (4%), the cane thicket (4%) and the prickly pear (less than 1%) (Fig.6). The arboreal seeding was composed of herbaceous cultivations (corn, horticultural or leguminous such as broad bean, bean and pea) together with arboreal cultivations (grapevine, plum, cherry, medlar, pear, apple, apricot, mulberry and almond). The seedings were made of corn cultivations and in small part of maize. In the arboreal vineyard the grapevine trees were joined with fruit trees. The cane thicket was of primary importance because the canes were employed as support for the horticultural cultivations and to build partitions and ceilings for the houses. The cattle’s feeding was guaranteed by areas destined to pasture and by the forage (mostly sulla). Considering data related to the consumption per capita and the areas farmed by Pantano’s residents, we could further analyze and elaborate. We particularly want to highlight what was the necessary surface to satisfy the village’s food requirements, and clarify whether the agricultural area was adequate to guarantee the production needed. 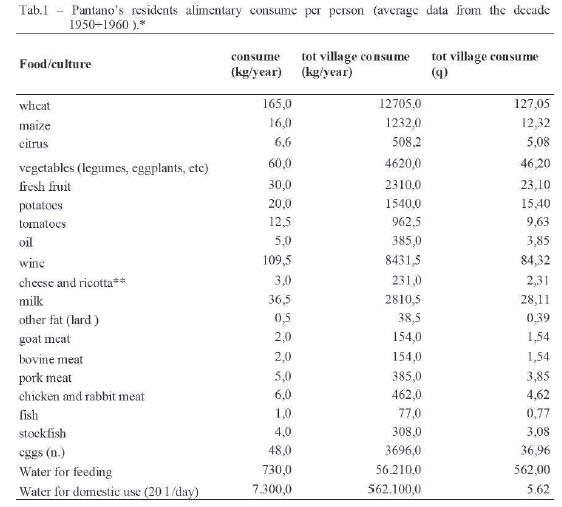 Comparing the villagers’ food expenditure (in the considered period of time) and the average productions of the cultivations we got the value in ha of the surface necessary to supply food to Pantano’s residents (tab.3). This calculation shows that to cover the food requirement of 127.05 quintals of wheat, they needed a farmed surface of nearly 7 ha. Also, about 4.5 ha of grapevine surface, 2 ha of olive grove, 0.6 ha of vegetable garden and some hundred metres of citrus orchard, tomatoes, potatoes and corn were needed (tab. 3). About the meat and its derivatives (tab. 4), the latest testimonies tell us that the breeding was mainly based on small animals and pigs. The village also owned two milkers, one of which was destined to the production of fresh milk, collected every morning by the Saponara milkman, ‘u lattaru. The other one’s milk instead was destined to the production of ricotta and cheese and sold in the surrounding villages. Moreover, the village had !ve sows, 25 goats, about 300 small animals and !ve calves fed stalling in the huts near the farmed fields. These calves, once fattened, were sold at Spadafora’s fair. So, the animal consistency in the village was of about ten units adult bovine (UBA). This calculation shows that the cattle load of about two UBA/ha was inadequate for the forage needs of the area. 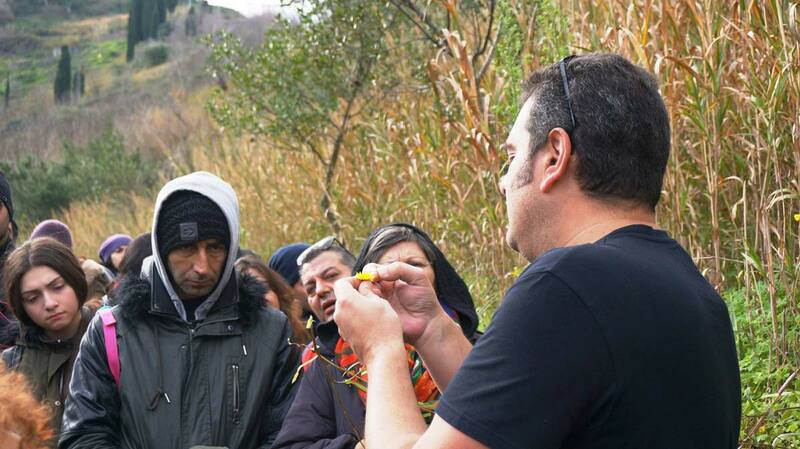 The residents, in fact, got the missing forage from a neighbouring area called ‘a valanca (the ravine), where no other cultivation was possible. Analyzing the water expenditure for alimentary use it was veri!ed that this came from the numerous wells of the village. Water for domestic use instead was collected from the roofs through waterspouts and then gathered in brick underground cisterns. Part of the water came from the near wells and from springs. 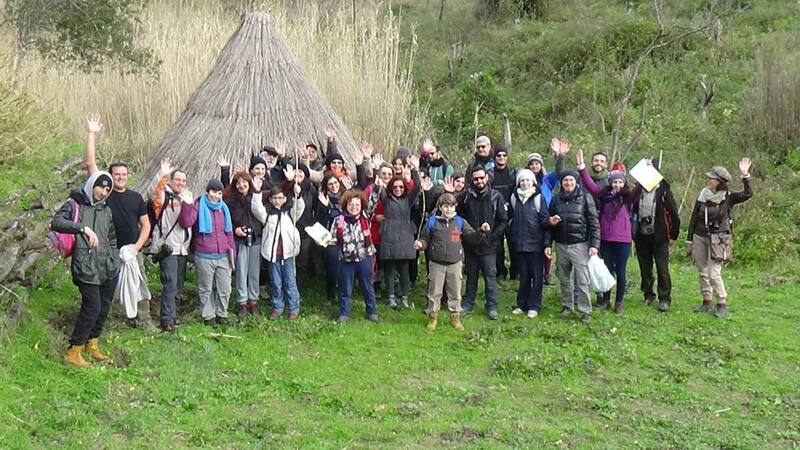 Multiplying the value of the roofs’ surface for a coe*cient of average out%ow of the sloping roof (0.85), for the quantity in millimetres of average annual rain (about 800) and for a coe*cient of 0.9 related to the losses that happen during the gathering (in cistern) we obtain a value of 293 m3 of water gathered from the roofs. It’s interesting to observe how this is approximately the volume of rain water collected from roofs, and covers more than 50% of the water requirement for domestic use7. The number of cisterns where water was gathered was initially 32. It means that almost every house had its own water supply. In addition to the cisterns, there were two public wells of spring water, which were also used as meeting points by the villagers. Of course the common problems in managing the local resources made this community very cohesive. 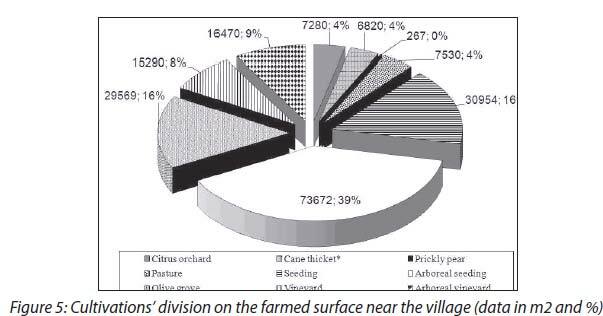 Summarizing, data related to the farmed surface necessary to the residents’ food requirement show that they needed a surface of about !fteen ha, with !ve ha destined to pasture or forage. This means a surface approximately similar to the examined one. Furthermore, analyzing this survey’s results it can be observed that the expenditure of natural resources was low and adequate to the regeneration ability of the renewable resources. Maximizing the e*ciency in the use of resources also meant that eco-sustainable building techniques were applied. An example of this are the already mentioned systems for the gathering of rain waters, but also the terracing and the canalization works present along the village’s slopes. The terraced landscapes, built to gain cultivable land from the slopes, protected the versants from hydrogeological hazard. Nature and man were then settled as a harmonic one. The drains for the gathering of water, called saje, were used to collect the meteoric waters and lead them to the near creeks. The resident was forced to keep clean the saja to avoid its occlusion and the consequent potential landslides and damages to his neighbours’ parcels. The importance of water in this area wasn’t only related to its subsistence function for man and agriculture. The above data can be used to calculate the food ecological footprint of Pantano in the 1950-1960decade. The ecological footprint is a measure of human demand on the Earth’s ecosystems. It compares human demand with planet Earth’s ecological capacity to regenerate. This index, nowadays, shows as the Western Countries, as well as the Emergent ones, in order to maintain their present lifestyle, use ecologicalservices two or three times as fast as their territories can renew them. This alarming state could become irreversible and for this reason new patterns of development, based on energy conservation, as well as on renewable energy, are required. Borgo Pantano could become a natural laboratory to experience a new lifestyle, where human needs are satis!ed harmonically with nature. 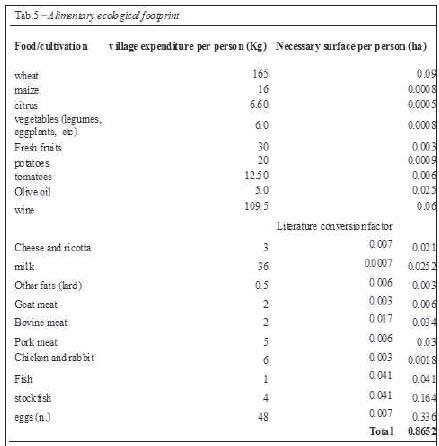 In order to calculate the ecological footprint in the 1950-1960 decade, regarding vegetables consumption, the third column data of Tab. 3 have to be subdivided per 77 (the number of inhabitants). Di”erently, to calculate the hypothetic amount of productive land needed to produce meat, milk and derivatives required, we have to make use of several conversion factors available from literature data. Yielded results have to be added together (Tab. 5), so as to obtain the amount of land required for food resources.The !nal result is 0.8652 (Tab. 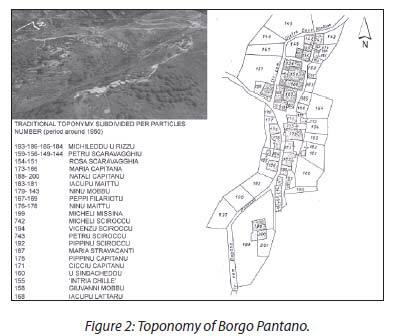 5) that, if compared with the national index (1.78 ha/p), suggests to us the IRT development project of Borgo Pantano should be widely sustainable. 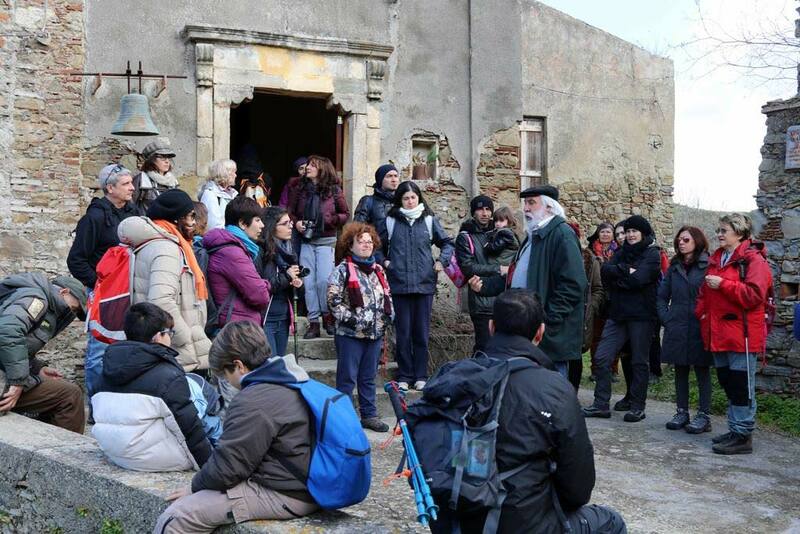 In the present paper we have expounded a model of Integrated Relational Tourism, which is taking shape from the restoration plan of an abandoned rural village in north-eastern Sicily. It is based on a trans-disciplinary study, focused on the historical and geographical aspects and the analysis of the agro-environmental resources. 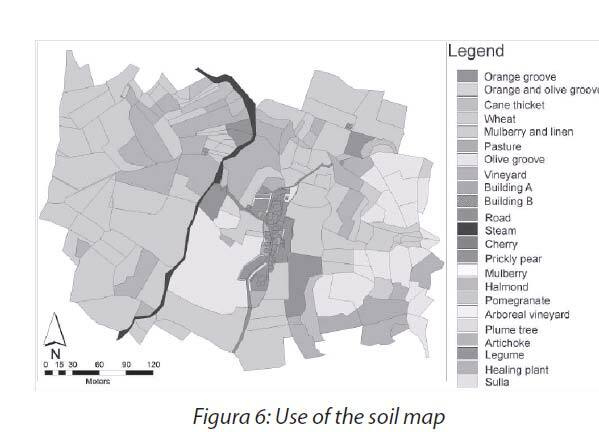 All this has been integrated into the initial development of a Geographic Information System (GIS), which will be able to strengthen the thesis expounded in this paper. 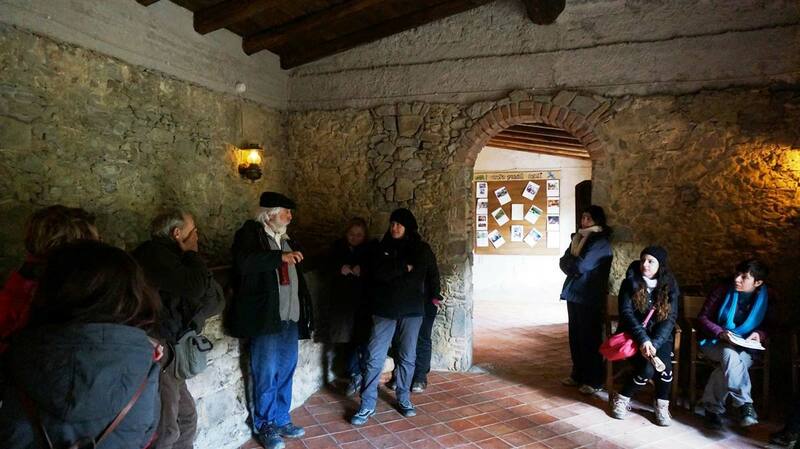 The restoration project of Borgo Pantano could actually represent a natural laboratory to investigate di”erent aspects of the IRT theory. The high quality of the project and the ethical principles of “Incanti & Memorie” are the basis of this development model, which could become a replicable model at Euro-Mediterranean level. Barberi, B. (1961), I consumi nel primo secolo dell’Unità d’Italia 1861- 1960, Milano, Giuffrè. Bisazza, P. (2009), Borgo Pantano: Recupero sostenibile e turismo d’eredità, Degree tesi, Univ. Messina, Facoltà di Economia. Cancila, O. (1983), Baroni e popolo nella Sicilia del grano, Palermo, G. B. Palombo. Confesercenti e FIESA (2004), Come sono mutati i consumi e le abitudini alimentari dagli anni ’70 ad oggi. Alcuni scenari per il futuro, Trentennale FIESA-Confesercenti, 17 ottobre – Lerici (SP). Giarrizzo, G. (1989), La Sicilia oggi, in AAVV, Sicilia. Le Guide Rosse, 114-125, Milan, Touring Club Italiano. Gullotta, D., Noselli F. And F. Trapani (Ed.) (2004), Motris, microcentralità relazionali nel Mediterraneo, Palermo, GulottaEditore. Istat (2008), Rapporto annuale, Situazione economica del paese Leed, E. J. (2007), La mente del viaggiatore, Bologna, IlMulino. Ligresti, D. (2002), Dinamiche demografiche nella Sicilia moderna: 1505-1806, Rome, Franco Angeli. Pugliatti, T. (Ed.) (1989), Rometta. Il patrimonio storico artistico, Provincia Regionale di Messina, Assessorato alla Pubblica Istruzione, Messina, Edas. Sciascia L. (1982), Introduction at: Aglianò S., Che cos’è questa Sicilia, Venice, Corbo & Fiore. Tirelli D. (2002), Il cronodizionario dei consumi. Le date e i fatti del mondo dei consumi dal 1200 ad oggi, Milan, Compositori.